2017 ushered in a cultural shift for women and had feminists cheering in victory. It started with a bang with the Women’s march in January, spurring record numbers of women to run for political office, and ending with the #MeToo and #TimesUp movements. With everything going on this past year, you may have missed many of the great books written by and about feminists published recently. Check out this collection of books to inspire the feminist in you to keep the momentum going long into 2018. 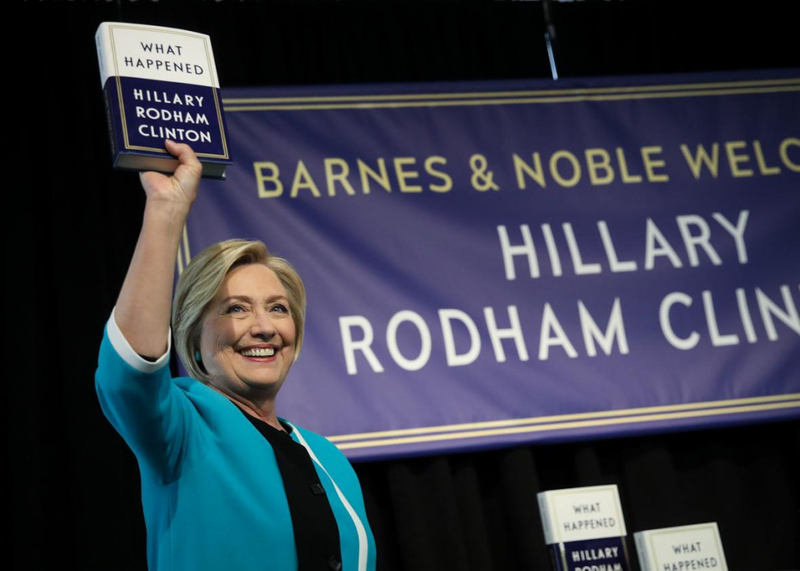 In her most personal memoir to date, Hillary Rodham Clinton discusses what was going through her mind during one of the most unpredictable and controversial presidential elections in history. Unbound by the constraints of running for office, Clinton takes readers inside her personal experience of becoming the first woman nominated by a major party and the election marked by sexism, stranger-than-fiction moments, Russian interference and an unpredictable opponent who ignored all the rules. From the insightful and prolific Roxane Gay comes a hauntingly beautiful collection of stories of women’s lives from across the full spectrum of humanity. The women in these stories live lives of privilege and poverty, from loving marriages to those haunted by crimes and emotional blackmail. Her stories give voice to an ensemble of extraordinary women and paint a picture of life in modern America.